Domestic pioneered DSP "feedback killer" FBK function, can effectively prevent the howling automatically, for the users to achieve perfect deduce. ◆ Domestic pioneered built-in DSP [MagicEQ], can change audio response curve through the software to connect the computer, simulate of various international brands classic sound, the user can set the favorite sound directly. ◆ Base on DDRE extender of DSP. ◆ Metal materials EIA-standard 1-rack receiver chassis, bright and easy-to-read LCD display show elegant. ◆ Bright and easy-to-read LCD display shows working channel, frequency, RF/AF signal strengths, transmitter battery level and can show the mute function. 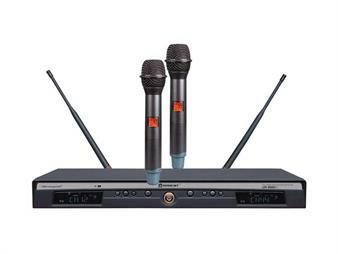 ◆ Super wide frequency range UHF554MHz~936 MHz，Auto Frequency Selection，CPU Intelligent Antenna Diversity. ◆ Press the "AFS"(Auto Frequency Selection) button 3S and the receiver will auto-scan and lock on to an open, interference-free frequency. ◆ Press [IR] button to upload automatically the receiver frequency to the transmitter. ◆ PLL (Phase Lock Loop frequency control) design ensures transmission reliability, “IP address” and "Noise Lock" squelch effectively blocks stray RF. ◆ Total 4 bands, 40 frequency bands supply 768 frequencies for selection. ◆ 134MHz bandwidth transmitter, four transmitters with different band (400 transmitters) can be changed freely, convenient for adjustment and management. ◆ Handheld microphones with novel appearance design, firm and durable alloy material for tube body. Protect internal components and circuit board effectively, soft touching feeling with ergonomic. ◆ Handheld microphone cartridge can removable and replacement. It can use dynamic or condenser cartridge. And can be installed using other national famous brand microphone cartridge. ◆ A new optimized circuit design, OLED display screen, good sound quality, and the transmission distance is more stable and farther. ◆ Accurate low consume current design with 2 AA alkaline batteries, Battery life is twice as common. ◆ The receiver can connect to a PC by TCP/IP or Android phone by WIFI for remote control, conferencing system remote control, remote diagnosis and upgrades, with the special operating software. 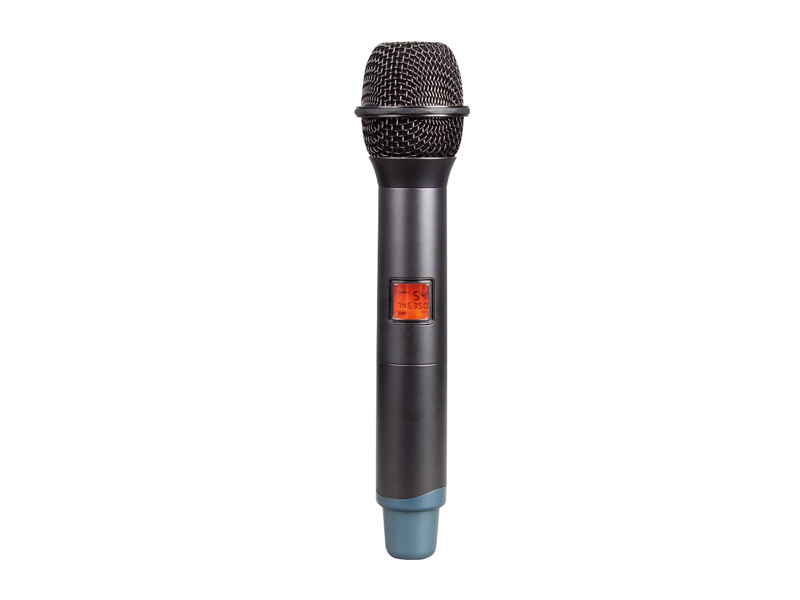 ◆ UR-260D cooperates with handheld microphone UH-222 or body-pack transmitter UT-222.